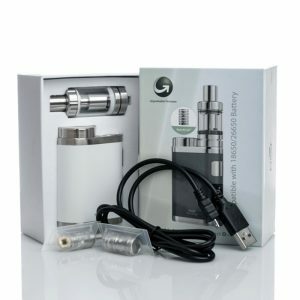 JoyeTech’s famous eVic with an “All-In-One” twist. 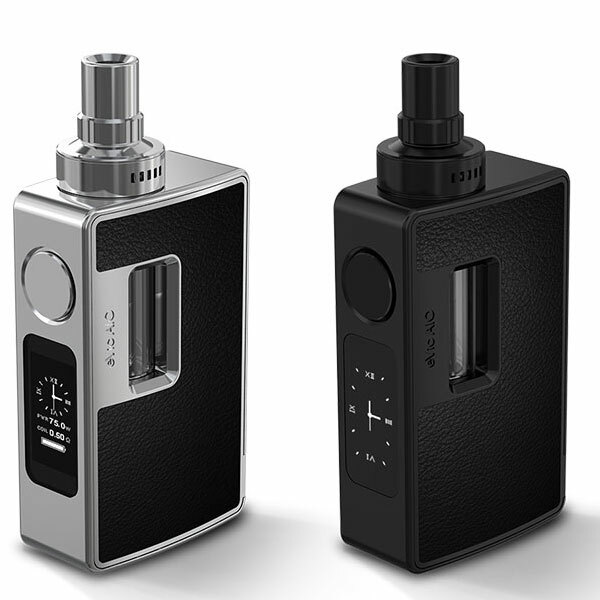 Introducing the eVic AIO, a 75W unit with an integrated tank. 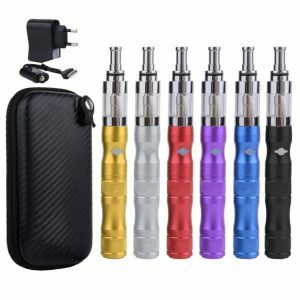 JoyeTech has made the eVic AIO versatile and compatible with 510 threaded atomizers with the option to install an atomizer adapter, no longer limiting the user to one single atomizer and allowing the eVic to be used as a flashy 75W box mod. Sporting a large 0.96 inch display, this screen is now large enough to have added features such as RTC (Real Time Clock) interface that presents the user with his or her choice of a classic analog clock or a digital clock. 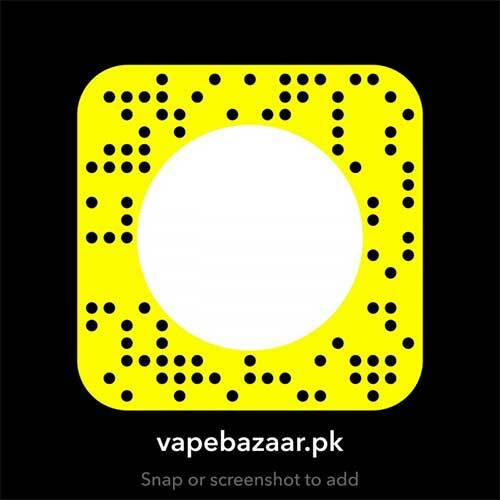 Integrated with Version 4.02 right out of the box, the eVic AIO pursues a new style of vaping that can be upgraded to increase the longevity of the unit to keep you always up to date. 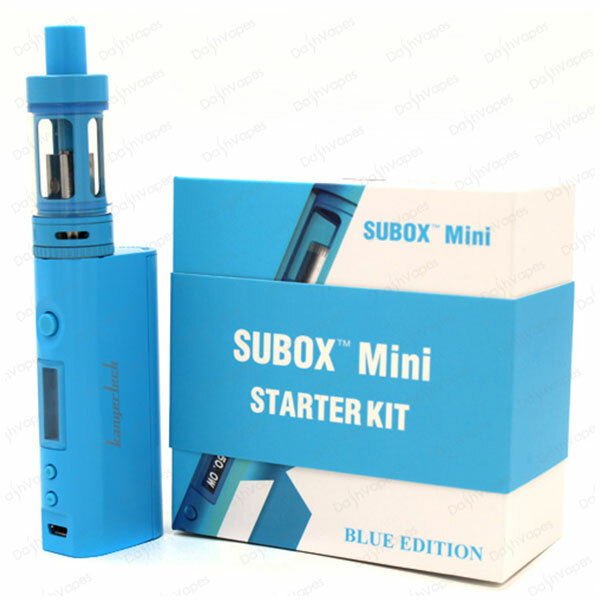 The insides of this device, which can be accessed by the magnetic back panel, maintain a clean appeal with a bay for a single 18650 battery (batteries Included) and a section for the tank of 510 atomizer adapter of your choice. 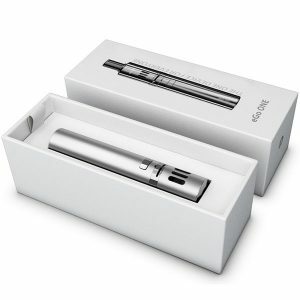 JoyeTech’s famous eVic with an “All-In-One” twist. 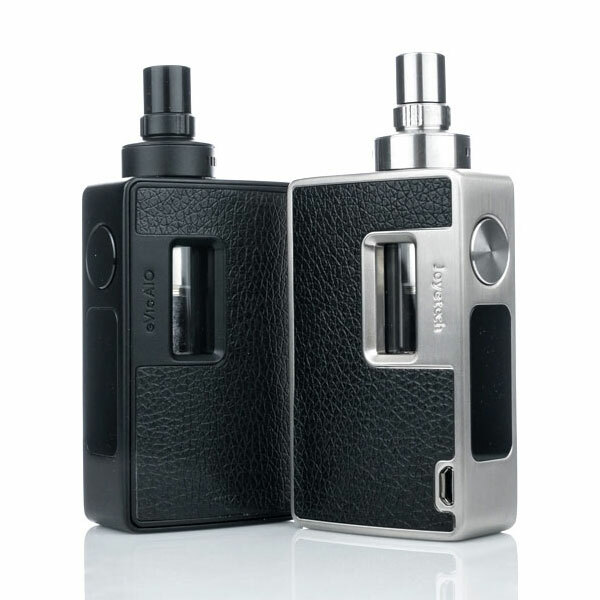 Introducing the eVic AIO, a 75W unit with an integrated tank. 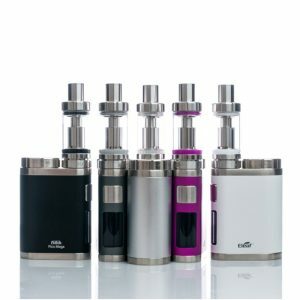 JoyeTech has made the eVic AIO versatile and compatible with 510 threaded atomizers with the option to install an atomizer adapter, no longer limiting the user to one single atomizer and allowing the eVic to be used as a flashy 75W box mod. 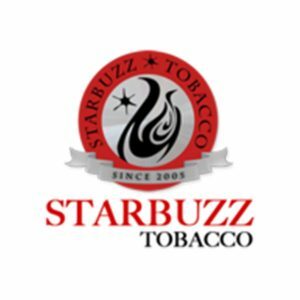 Sporting a large 0.96 inch display, this screen is now large enough to have added features such as RTC (Real Time Clock) interface that presents the user with his or her choice of a classic analog clock or a digital clock. 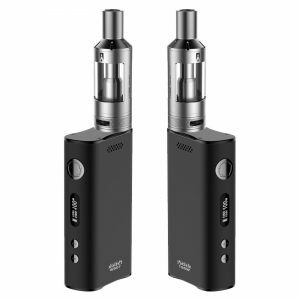 Integrated with Version 4.02 right out of the box, the eVic AIO pursues a new style of vaping that can be upgraded to increase the longevity of the unit to keep you always up to date. 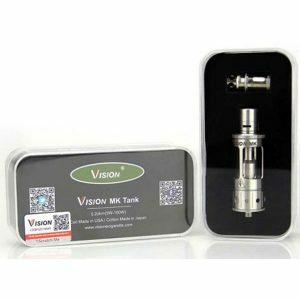 The insides of this device, which can be accessed by the magnetic back panel, maintain a clean appeal with a bay for a single 18650 battery (Not Included) and a section for the tank of 510 atomizer adapter of your choice. 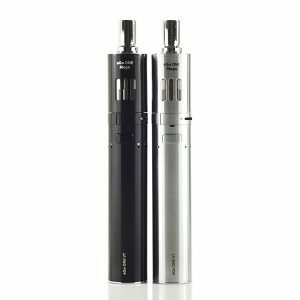 To support the all-in-one style, the eVic AIO makes use of the TFTA tank that can be conveniently filled via top fill method. 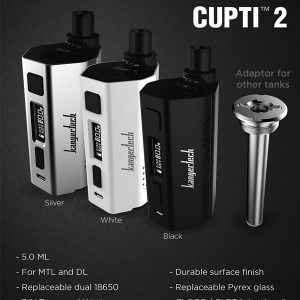 Among the top fill function, airflow is also controlled at the top of the unit by simply rotating the top cap in a clockwise or counterclockwise direction depending on the user’s airflow preference.